Vevo is a multinational video hosting service owned and operated by a joint venture of Universal Music Group (UMG), Google, Sony Music Entertainment (SME), and Abu Dhabi Media, and based in New York City. Launched on December 8, 2009, Vevo hosts videos syndicated across the web, with Google and Vevo sharing the advertising revenue. Vevo offers music videos from two of the "big three" major record labels, UMG and SME. EMI also licensed its library for Vevo shortly before launch; it was acquired by UMG in 2012. Warner Music Group was initially reported to be considering hosting its content on the service, but formed an alliance with rival MTV Networks (now Viacom Media Networks). In August 2015, Vevo expressed interest in licensing music from Warner Music Group. The concept for Vevo was described as being a Hulu for music videos, with the goal being to attract more high-end advertisers. The site´s other revenue sources include a merchandise store and referral links to purchase viewed songs on Amazon Music and iTunes. UMG acquired the domain name vevo.com on November 20, 2008. SME reached a deal to add its content to the site in June 2009. The site went live on December 8, 2009, and that same month became the number one most visited music site in the United States, overtaking MySpace Music. On March 12, 2013, Vevo launched Vevo TV, an advertising-supported internet television channel running 24 hours a day, featuring blocks of music videos and specials. The channel is only available to viewers in North America and Germany, with IP address blocking being used to enforce the restriction. Vevo has planned launches in other countries. After revamping its website, Vevo TV later branched off into three separate networks: Hits, Flow (hip hop and R&B), and Nashville (country music). Vevo is available in Australia, Belgium, Brazil, Canada, France, Germany, Ireland, Italy, Mexico, the Netherlands, New Zealand, Poland, Spain, the United Kingdom, and the United States. The website was scheduled to go worldwide in 2010, but as of November 17, 2015, it was still not available outside these countries. Vevo´s official blog cited licensing issues for the delay in the worldwide rollout. Most of Vevo´s videos on YouTube are viewable by users in other countries, while others will produce the message "The uploader has not made this video available in your country." 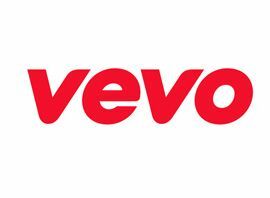 The Vevo service in the United Kingdom and Ireland was launched on April 26, 2011. On April 16, 2012, Vevo was launched in Australia and New Zealand by MCM Entertainment. On August 14, 2012, Brazil became the first Latin American country to have the service. It was expected to be launched in six more European and Latin American countries in 2012. Vevo launched in Spain, Italy, and France on November 15, 2012. Vevo launched in the Netherlands on April 3, 2013, and on May 17, 2013, also in Poland. In September 29, 2013, Vevo updated its iOS application that now includes launching in Germany. On April 30, 2014, Vevo was launched in Mexico. The 24-Hour Vevo Record, commonly referred to as the Vevo Record, is the record for the most views a music video associated with Vevo has received within 24 hours of its release. The video that currently holds this record is "Hello" by Adele with 27.7 million views. In 2012, Nicki Minaj´s "Stupid Hoe" became one of the first Vevo music videos to receive a significant amount of media attention upon its release day, during which it accumulated 4.8 million views. The record has consistently been kept track of by Vevo ever since. Total views of a video are counted from across all of Vevo´s platforms, including YouTube, Yahoo! and other syndication partners.